The fastest way to increase your curb appeal is to, wash your house & Make the Windows Shine! 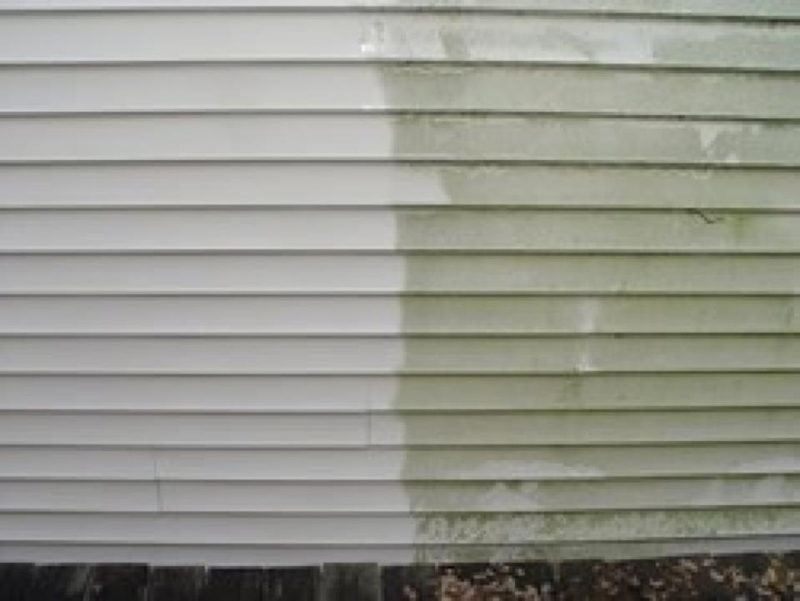 We "Soft Wash" (no high pressure) the exterior areas of your house. Soft Washing is a gentle, effective and noninvasive approach that is safe for virtually every exterior housing material. Also, the windows will look great! Please note: If organic, oil based or other stains have penetrated to the sub-surface of the your driveway or other porous stone material. The only way to fully address this is with specialized solutions, time and repetition! Waiting for a time-based reaction, continually bringing these substances to surface then, washing them away and repeating IS NOT INCLUDED in this service. We deal with the primary surface layer and make the surfaces clean, not new. Efflorescence (the white hazy stuff on brick) is a crystalline deposit of salts often seen on the surface of concrete, brick, stucco, or natural stone surfaces. These salts may have come from the mortar, the stone itself or repeated contact with hard water. Brick can vary quite a bit in terms of materials used, strength, porosity etc...In any event, to properly dissolve hard water deposits from these surfaces generally requires a solution including a strong base acid, scrubbing and repetition. For these reasons, The Exterior Home Cleaning Service does not deal with efflorescence on brick or other stone materials. Pressure washing can improve the situation but, will not completely remove deposits without risk of pitting or surface derogation. Caution and the correct pressure must be used.